Enhance your smile with JASON Powersmile Toothpaste. Containing three natural whiteners, this hard-working toothpaste polishes and whitens your teeth without harsh abrasives, leaving you with something to smile about. 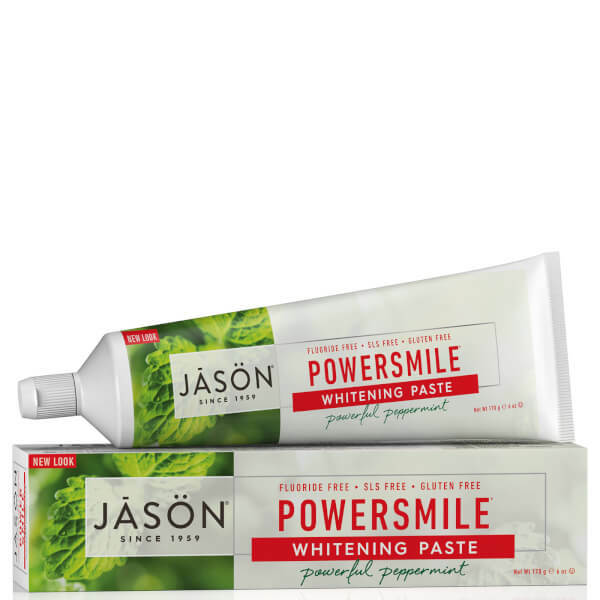 Exclusive anti-bacterical perilla seed extracts help prevent tartar build up in JASON Powersmile Toothpaste. 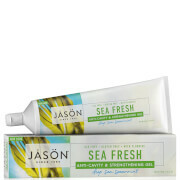 Essential oils of peppermint ensure your mouth is left wonderfully fresh and clean. Suitable for adults and children 2 years of age and older. Instruct children under 6 years of age in good brushing and rinsing habits (to minimise swallowing). For instructions for children under the age of 6 please consult instructions on packaging.